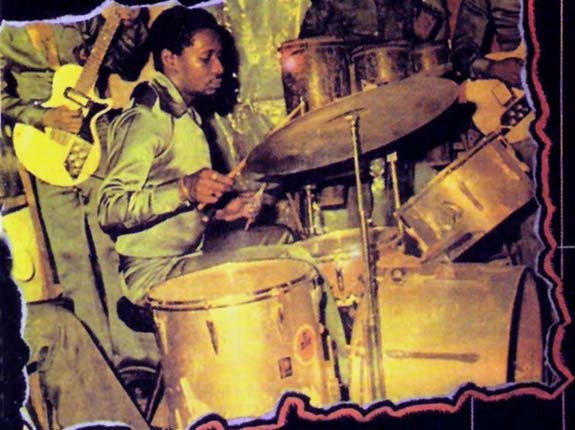 Tony Oladipo Allen was a cofounder of Afrobeat, as Fela’s drummer and longtime musical director. 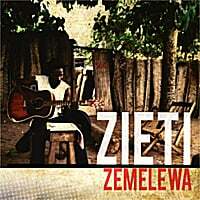 After a career in jazz and highlife Allen developed a novel style to compliment Fela’s new African groove. Tony combined the traditional Ibo/Yoruba & Ghanaian music of his parents with deconstructed highlife, jazz, and James Brown soul. Allen describes his playing as “one person playing like four." Imagine taking 4 ensemble tribal drum parts and assigning one to each limb, but thinking of the result as a linear pattern, not separate pieces. There is no ‘backbeat’- the propulsion stems from polyrhythms between drum-kit, percussion, rhythm guitars & bass. But unlike funk, instruments play interlocking complimentary patterns (not unison). Like funk or jazz, Afrobeat is a genre rather than a single groove. The foundation of Afrobeat drumming is the hihat (adapted by Allen from jazz hihat lessons by Max Roach in a drum magazine) [Tony Allen: "As Long as I'm Alive I Will Never Bore You"]. As in a jazz rides, the pattern is not static, polyrhythmic variance adds interest, creating tension & release. Tony explains, "First the legs got to get walking. My hi-hat does not stay closed, to me that is not good drumming…. it will become very boring" ("Tony Allen Returns Home Cooking" by Tunde Okoli). The bass drum often plays a repeating 16th pattern which is answered by rudiment-based comping on the snare. While the drum-kit parts interlock with the band, they also have internal logic & are fully formed call & response master-grooves. Tony says, "Afrobeat is serious dance music. I play like a machine or a loop. I make it steady for the audience to let them find something in the drumming." Allen adds, "I don't have limits of beat creations. What the music brings that's what I give back. The music is coming from the drums." (Excerpted from a Jazz Fest interview by Tony Montague on Straight.com) . thank you Tony - your beats, grooves, feel - big gifts to everyone - so tasty!